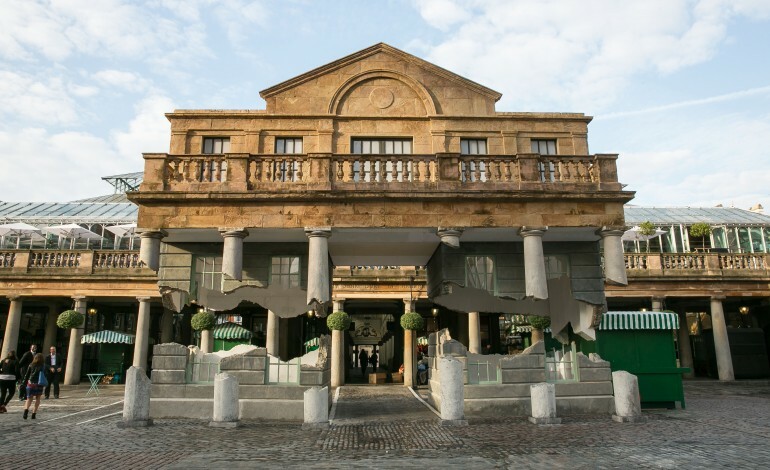 A piece of the historic Covent Garden market appears to have broken free of its stone base, with its top half levitating in the air, in the latest installation by London designer Alex Chinneck. 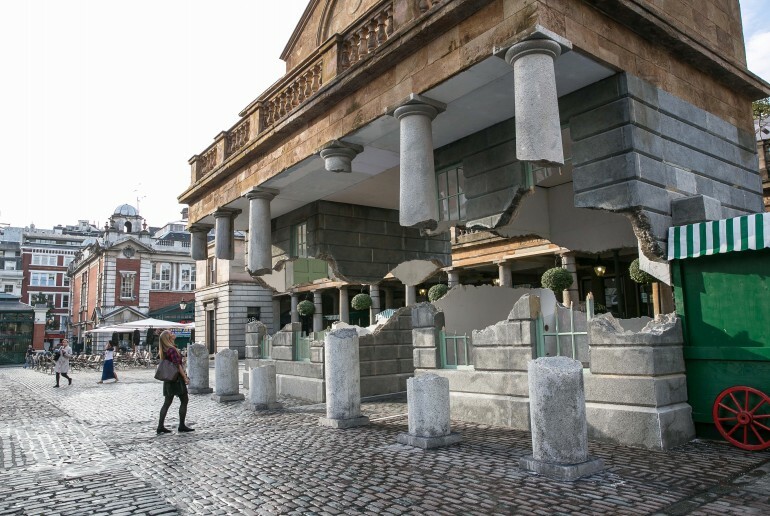 Take My Lightning but Don’t Steal My Thunder by Alex Chinneck is a precise replica of a section of the 184-year-old market building in London’s Covent Garden that has been made to look as if its upper portion has broken away from its stone base to float in mid air. 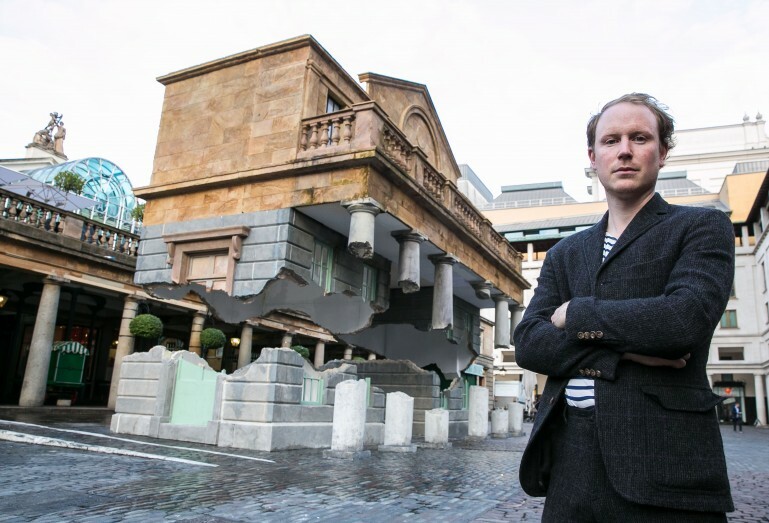 Built from a steel frame and filcor, a type of expanded polystyrene, the 12-metre-long structure took 500 hours to shape using digital carving techniques and was painted to replicate the appearance of the existing building on the site. 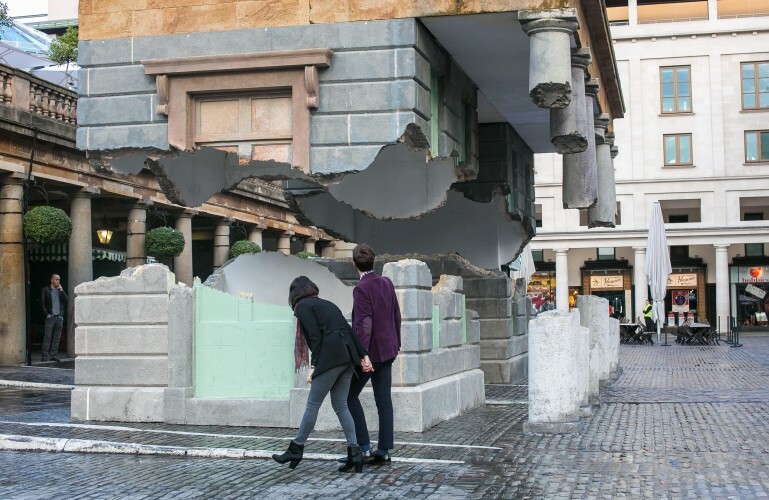 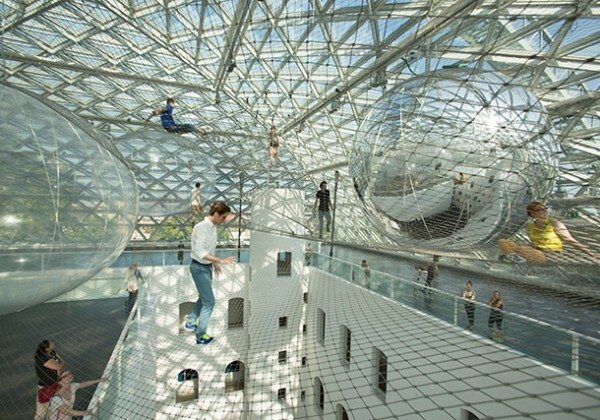 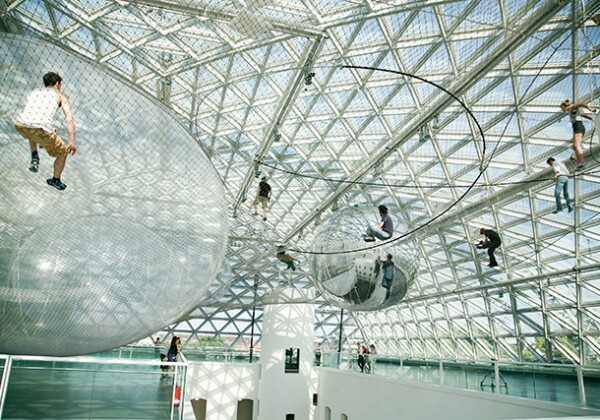 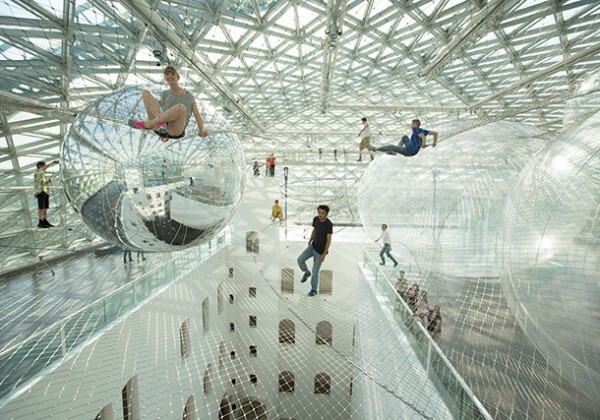 A four-tonne counterweight enables the suspension of the top half of the fake building. 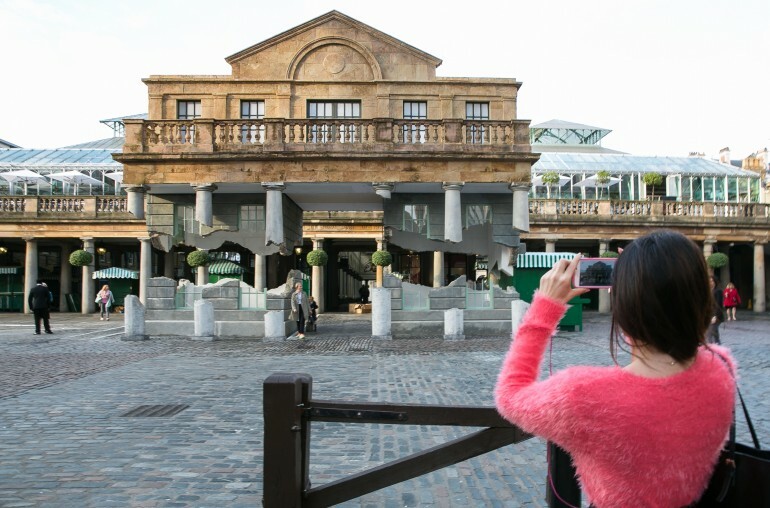 Take My Lightning but Don’t Steal My Thunder will be on display in Covent Garden’s East Piazza until 24 October 2014. 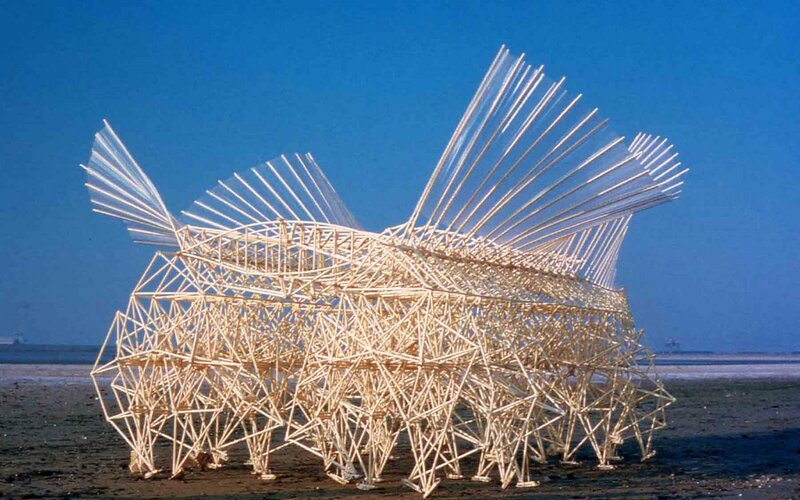 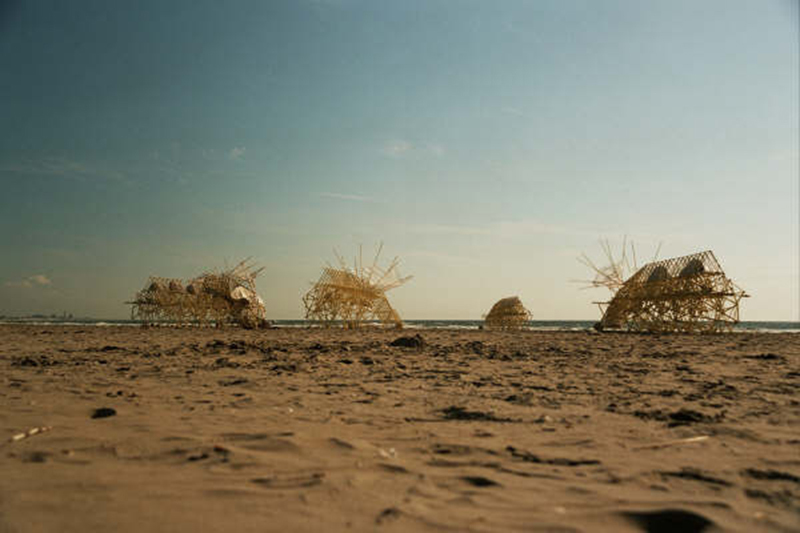 Since 1990 Theo Jansen has been occupied creating new form of life. 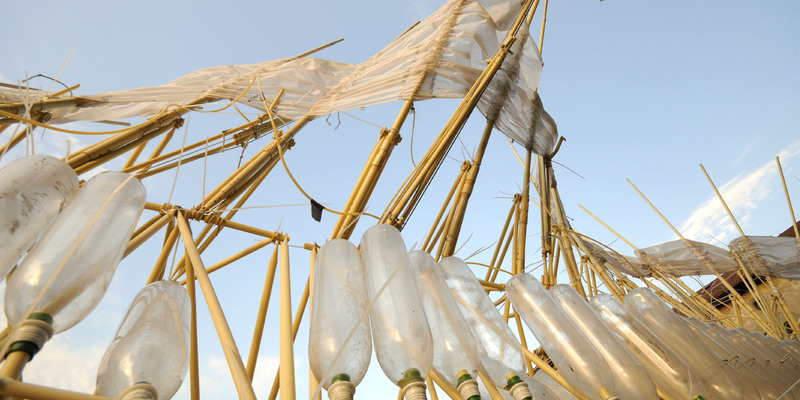 Not pollen or seeds but plastic yellow tubes are used as the basic material of this new nature. 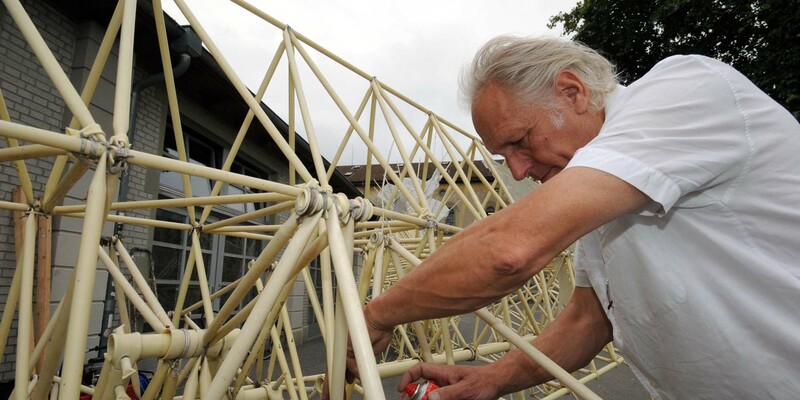 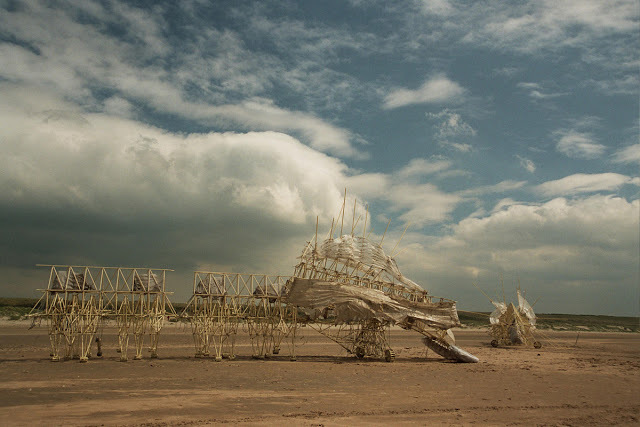 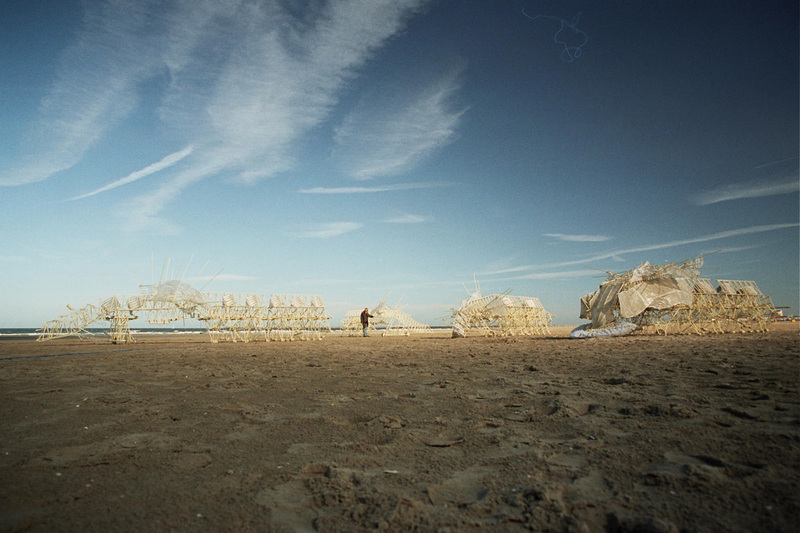 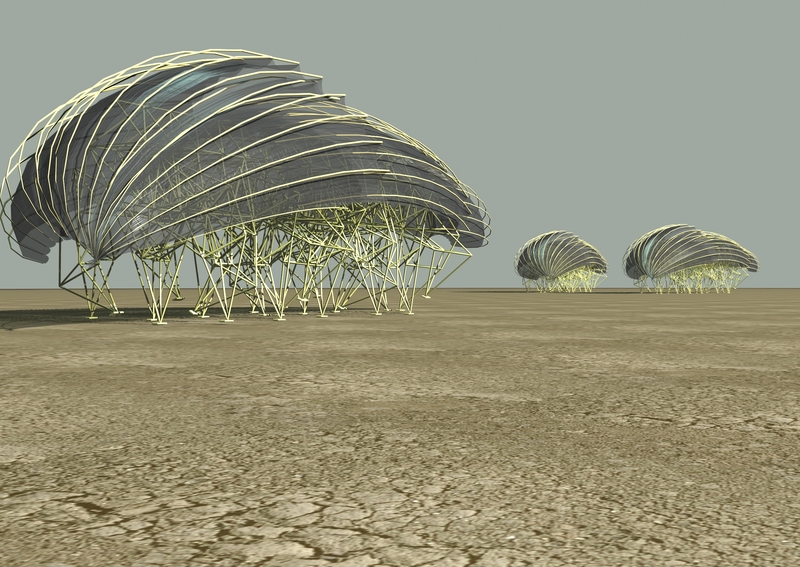 He makes skeletons that are able to walk on the wind, so they don’t have to heat.